A graduation speech is also known as “commencement speech”. Graduation speech ceremony is a common practice followed by universities to address graduating students. Universities conduct a speech ceremony program and invite public figures like motivational speakers, scholars, VIP persons, or political figures to address students. 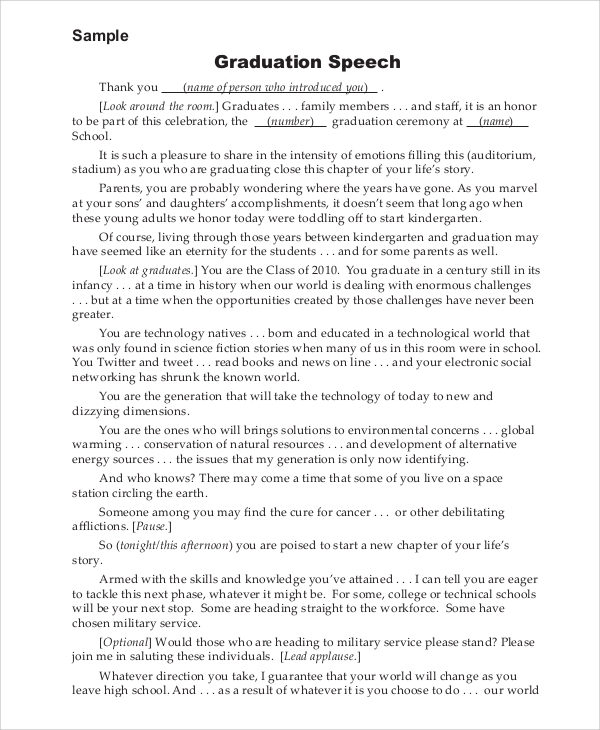 We have made graduation speech writing a simpler task. Check out a list of different kinds of persuasive speech examples below and prepare unique and engaging commencement speech. Download the example documents and explore them. 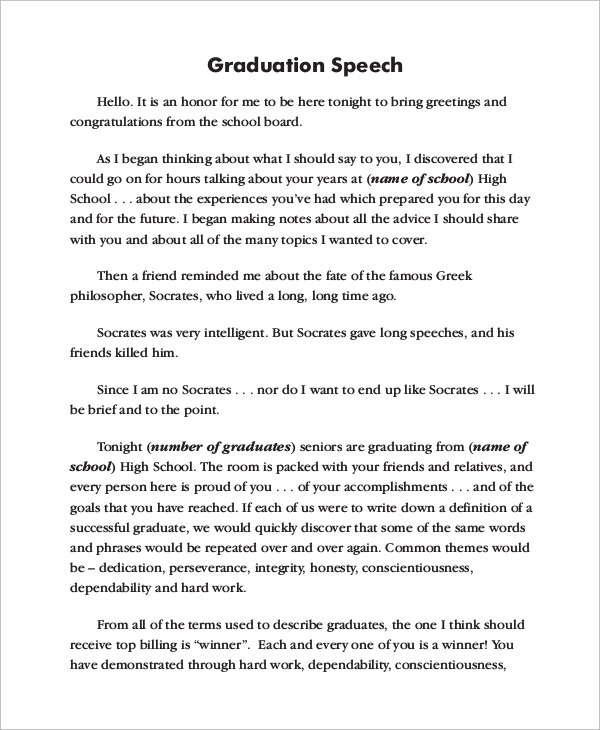 Download one of the best graduation speech examples PDF and read the speech to get the reference for writing a custom speech. 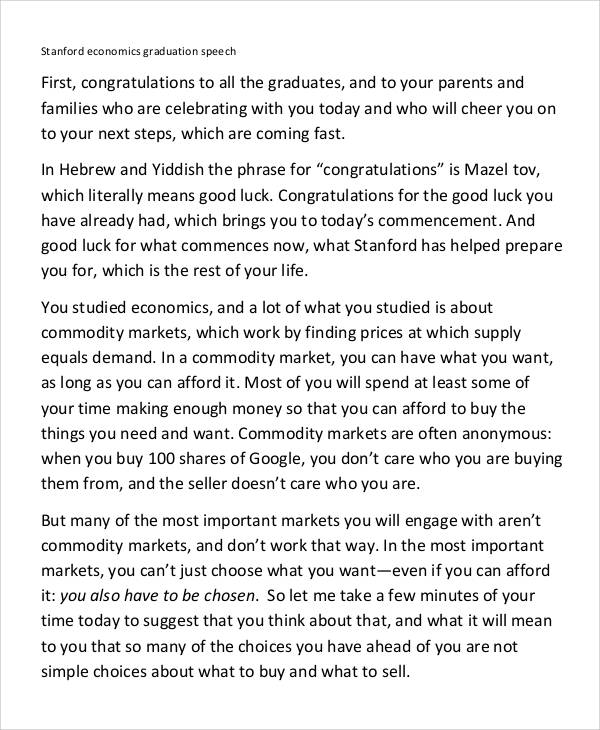 The document contains written copy of Stanford economics graduation speech. Get a clear and keen idea and prepare impressive introduction and speech body to engage and inspire the audience. 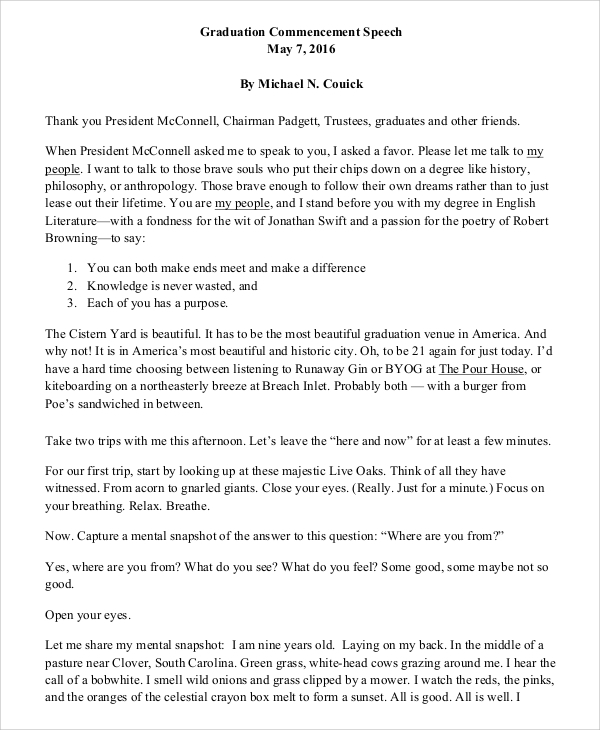 Graduation commencement speech examples PDF document contain a sample graduation speech written by Michael N. Couick. 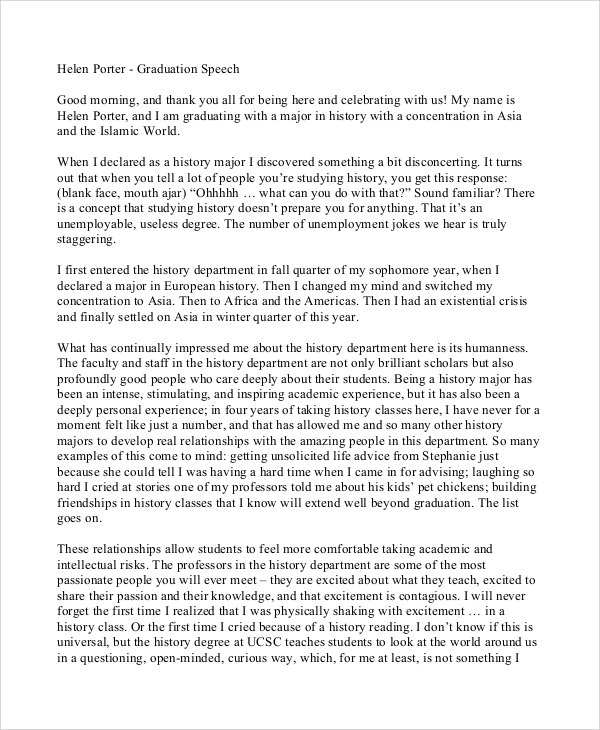 He had given the speech to graduating students at College of Charleston on May 7, 2016. Read the complete speech and prepare a custom commencement speech from scratch. Graduation farewell speech examples PDF document is a sample farewell speech given by the vice-chancellor of UWC Red Cross Nordic Mr. Richard D A Lamont. The Vice-chancellor had given the speech in 2015, to final year students. 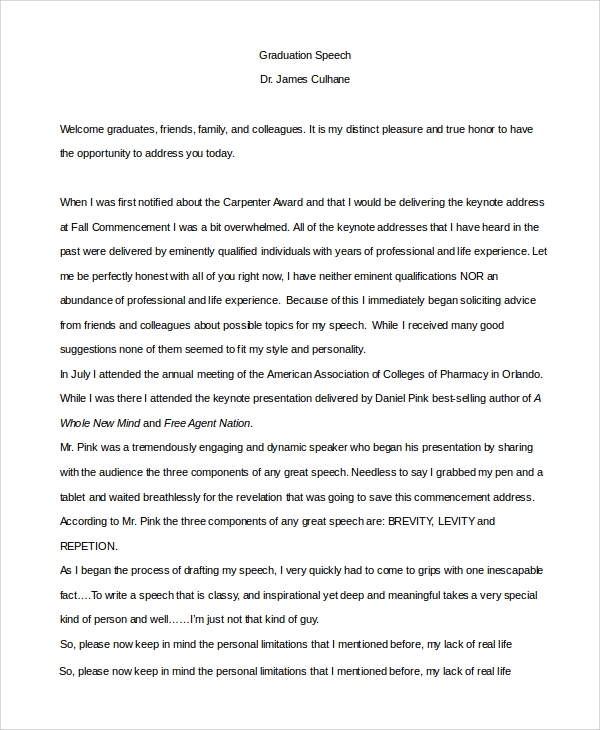 Read the complete speech and prepare a custom farewell speech easily.You may also see speech outline examples. Our commencement graduation examples are effective and easy to read. Add them to your reference and prepare impressive speeches. Also, have a look at informative speech examples.